Remember: you don't need to install any emulator to run games downloaded from GamesNostalgia. The games you will find on our site have been already tested, configured and - if necessary - packed with the required emulators. So if you just want to play our games, you don't need to read this page. Anyway, if your are curious, or if you have downloaded other retrogames from other sites and you don't know how to launch them, here's a small guide for you. Most of the titles you will find on GamesNostalgia are MS-DOS games, so they cannot run on modern computers. However there are special programs called emulators that allow those games to run on Windows, Mac or Linux. 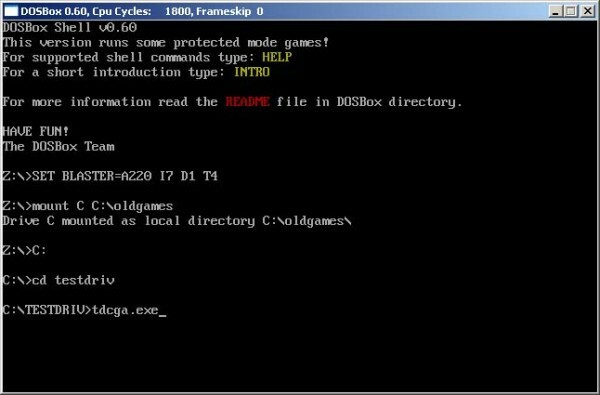 The most popular DOS emulator is DOSBox. It's a free software that you can download here. It's compatible with Windows, Mac and several Linux versions. Installing DOXBox is easy, but you need a few steps to configure an old MS-DOS game and run it. It doesn't matter if you have a Mac or PC, DOSBox is the same. 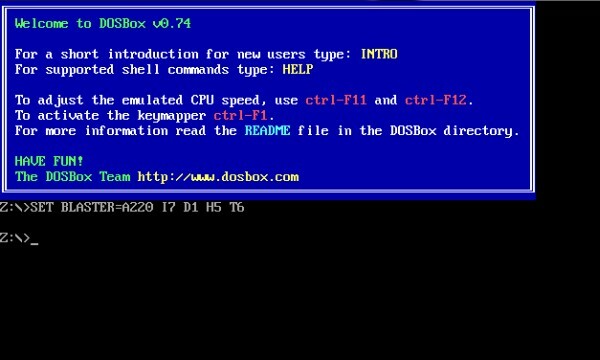 If you need more info about DOSBox, check the links section on the right. ScummVM is a free software that allows you to play some of the most popular classic point-and-click adventures, including the LucasArts titles (Monkey Island 1-3, Day of the Tentacle, Sam & Max), some Sierra games (King's Quest 1-6, Space Quest 1-5 ), but also Discworld, Simon the Sorcerer, Beneath A Steel Sky, Lure of the Temptress, Broken Sword, Gobliiins e many more. ScummVM is very easy to use. Once opened, just use the Add Game button to load the directory of the game. You can add multiple games. With a double-click on the title, you can launch it. Emulating the Amiga hardware is a bit more complex, since it's a completely different system. Again, you don't need to install any emulator to run games downloaded from GamesNostalgia (for example Defender of the Crown), but if you have downloaded some native Amiga games from other websites, you will need an emulator. The most popular one is FS-UAE, available for Windows, Mac and many Linux versions. If you have Windows, you can also try WinUAE. Please check the corresponding websites for help and tutorials. Don't forget to have a look at our Help page too!